Sarla Chhewang, Member, Child Welfare Committee: The Child welfare committee deals with cases of ‘Child in need of care and protection’. The safety, care, and protection of the child are the ultimate goal of the department. If we compare Ladakh with the other parts of the state, very few cases are reported, but that doesn’t mean there are no cases related to child rights. Less awareness, reluctant society, and conservative nature make the cases go unreported. Till now we have handled 86 sponsorship cases out of which 44 have been approved, 6 cases including sexual harassment, educational and hostel arrangements and 1 case of corporal punishment in a private school disposed off. Also, catered financial assistance to a child for treatment in AIIMS, restored a child with her mother, monitoring and ensuring medical and educational need of a child who had a pelvic injury due to an incident in one of the schools. Also, we carried out an inspection in almost all the hostels of various schools and monastery within the Leh town periphery to check whether they are meeting the minimum requirement including proper bedding, clean, safe and hygienic environment, and nutritious food, etc. If anyone found violating, a time is given for improvement to meet the requirement before taking any major step. One or two such cases are found and has improved. Awareness among children is very important to curb sexual abuse cases or any mishap. Good parenting is a must. Children are vulnerable, they get easily influenced under the condition in which they live such as family situation, peer pressure and social condition. In many of the cases, the child goes through a bad situation or gets involved in anti-social activities because of the unstable family background, an alcoholic parent, illiteracy, etc. Anyone including the child itself can come and report it to the CWC after which the social worker or outreach worker goes to the field to inquire about the case. After following all the procedures, counseling takes place and the final decision is taken by the CWC member to dispose off cases for the care, protection, treatment, development, and rehabilitation of the children. Observation and shelter home is necessary for the temporary reception of any juvenile during the pendency of any inquiry regarding them under the Act. But the major challenges is that we don’t have a special home or children home to accommodate needy children in a safe and child-friendly environment. As for now, we keep them in Bal Ashram for a day or two which is not possible for a long run. The need of such institute for the provision of basic care and protection is a must in the district. Child policy is very much needed but due to lack of data, it becomes difficult. For this a concrete survey at the grassroots level is necessary. Secondly, vocational training is must to train children who leave schools in between. As for now due to fund constraint, we are not able to carry out all the activities at the mass level. 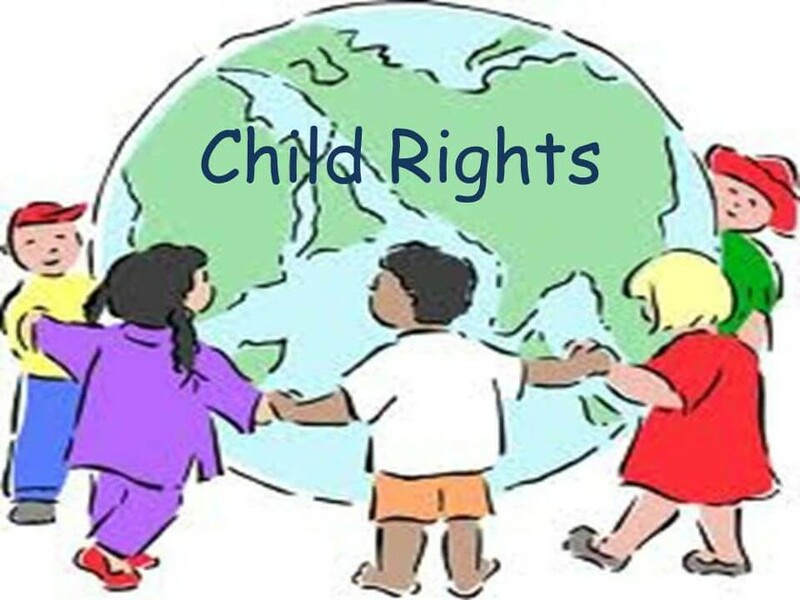 Most importantly the children should be well aware of the rights entitled to them by the law. Until and unless they are not aware of the rights, they will be reluctant to raise voice against any mishap. Awareness of parenting is a must. Child policy is needed to carry out the work effectively and efficiently. Childcare institute is must to accommodate children in need of care and protection. Cooperation and support are needed by everyone to care, protect, and rehabilitate. Sonam Dorjey, Member, Juvenile Justice Board: Children below 18 years are more vulnerable to the condition under which they live. They are considered weak in decision making, to make a choice and express. And many a times life of children is decided by adults instead of guiding them. Thus, the law guarantees certain rights for the children including, right to education, care, and protection, the right to be protected from abuse, exploitation etc. Keeping the best interest of the child in mind, the rights entitled are framed for safety, care and protection and to develop them. The J&K Legislative Assembly passed the J&K Juvenile Justice (Care and Protection of Children) Act, in the year 2013 with a minor amendment. In Ladakh, three mechanism body District Child Protection Unit, Child Welfare Committee and Juvenile Justice Board under the Integrated Child Protection Scheme (ICPS) were notified to start the proceedings from August 2018. Our society is changing and children are becoming more vulnerable to social evil activities. We come across theft cases, sexual abuse, the influence of tobacco and substance abuse and many are left unreported. The Juvenile Justice Board handles the cases of ‘child in conflict with law’ and till now three theft cases are being handled. Juvenile Justice Board is necessary because earlier the cases of the minors which were handled in the court take a lot of time to dispose of as there were a lot of other cases to be handled. But with the establishment of JJB, minors related cases will be dealt with separately and sensitively. The law states that the juvenile accused should be presented before a justice board within 24 hours and an inquiry into the case needs to be completed within four months. No child is born as a criminal but the circumstances make them. Our effort is always to protect or reform them for a better future. In case of a heinous crime committed by a minor, the child needs to be kept in the special home but such institutional structures are missing in Ladakh. An observation home and shelter home are the basic necessity to protect them from negative influences and absence of such home is the biggest challenge. Many a time, child-related cases are handled by compromising or ignored. Since the establishment of the board, we have come across cases of sexual abuse and theft. Besides, the issue of child labour is also prevalent in Leh and most of them are non-local which is a challenge. Secondly, the local children from the poor family background are kept in other homes to work as a domestic helper which in turn provides them with education, food, and shelter. So, in that case, certain rights of the child are fulfilled. But in certain cases, taking back the child and handing over to the parents deprive them of the right to education and proper food. The Juvenile Justice Board is newly established in Leh and there is a need of more awareness so that child-related cases can be reported not to harden the child but to treat, care, protect, rehabilitate and develop them in a law-abiding citizen. Child right is very important to understand for a better future. And often people tend to neglect or forget the importance of it. Parents play an immense role in the life of a child and so do society. Awareness at the mass level about child rights and mechanism body for child welfare is necessary. Institutional structures such as observation home and shelter home are needed. Proper guidance, constant monitoring, close bonding with the child is necessary to understand their problems and need. Child in conflict with law needs to be handled sensitively.